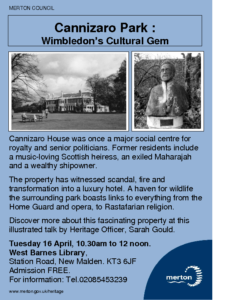 Merton Heritage Centre organises monthly talks at West Barnes Library. These are held on the third Tuesday of each month from 10.30am to 12 noon. Admission to the West Barnes history talks is FREE.